Architecture + Film is an ongoing series of films which focus on architecture and design, co-presented by the Winnipeg Architecture Foundation – a charitable organization dedicated to advancing the awareness and appreciation of Winnipeg`s built environment through public education. Introduction and Q&A with Katherine Knight and Wanda Koop. Architect Todd Saunder`s sculpture like artist studios perched on the rocky shores of Fogo Island created a buzz among worldwide architecture fans when the images were first released. 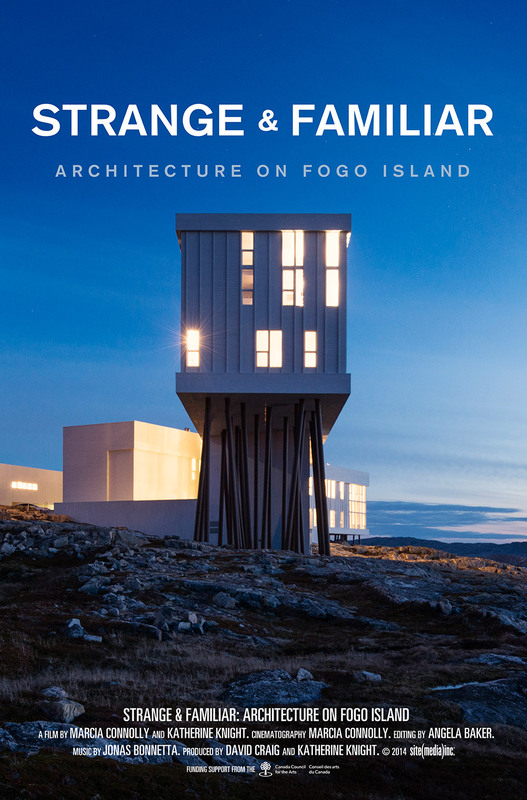 Since then the four artists’ studios and the new Fogo Island Inn have been documented in more than 80 international magazines. Gorgeously photographed over all 4 seasons the film is a flowing visual narrative that unfolds over time as the Fogo Island inn is being constructed which reflect Winnipeg’s past and often conflicted view of itself. A portrait of the pioneering Winnipeg artist Wanda Koop. In the film the visionary Canadian artist is preparing massive new paintings of archetypal cities and familiar yet disquieting landscapes. Named by Time Magazine as one of Canada’s best artists, recipient of the Order of Canada, honorary doctorates and prizes, Koop’s creative life is hectic. Taking a break from studio demands, she embarks on a journey by freighter boat. Sketches, photographs and moments of observation soon lead to a new group of astonishing paintings. This screening is generously sponsored by the Royal Architecture Institute of Canada and the Winnipeg Architecture Foundation. this film is offered as part of the Winnipeg Design Festival.